Biannually, the NATA hosts an Educator's Conference in Washington, DC. This event coincides with the "Hit the Hill" legislative weekend. The event was held at the Grand Hyatt in downtown Washington, DC. The 2011 Athletic Training Educators’ Conference focused on “Creating a Culture of Evidence-Based Practice.” SLU AT faculty members Tony Breitbach and Kitty Newsham participated in the event. 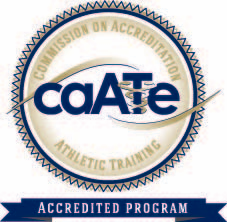 Dr. Breitbach presented on Friday, February 25th at the CAATE-ECE Best Practices Seminar. His topic was: "Utilization of Technology and Social Media in the Development of a New Athletic Training Education Program". He also served as a moderator for a Breakout session on Saturday, February 26th.